Somewhere in the rear crevices of my brain I store my "one day" Halloween costume ideas. Those are the concepts I love, but for one reason or another have never gotten the chance to make and wear. 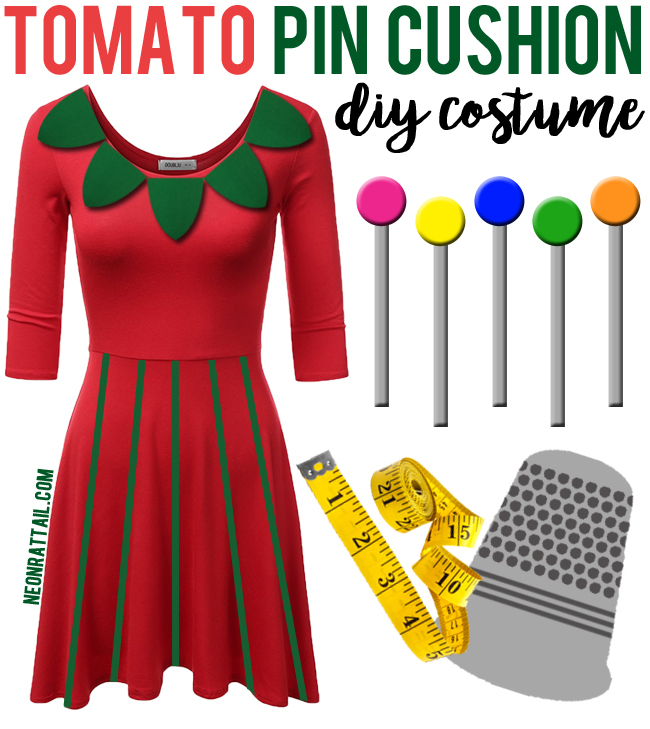 For years, I've been amped to be a tomato pin cushion for Halloween, both because I think it's a cute costume, but also because sewing is one of my main hobbies. It's a match made in crafting heaven! Sadly, I've yet to wear this costume so I'm sharing my tips here in case anyone out there would like to do so! Find a red dress. Cut tomato leaf shapes from dark green felt and glue or stitch them along the neckline of the dress, front and back. Cut lengths of a matching green ribbon to attach in intervals along the skirt of the dress. If you want to wear the dress again, you could safety pin the green bits instead. To make the sewing pins, start with a wooden dowel - these ones are great because they're not too thick and are cut to a good length. Paint them silver or wrap them in aluminum foil. Paint the styrofoam balls in a variety of colors. 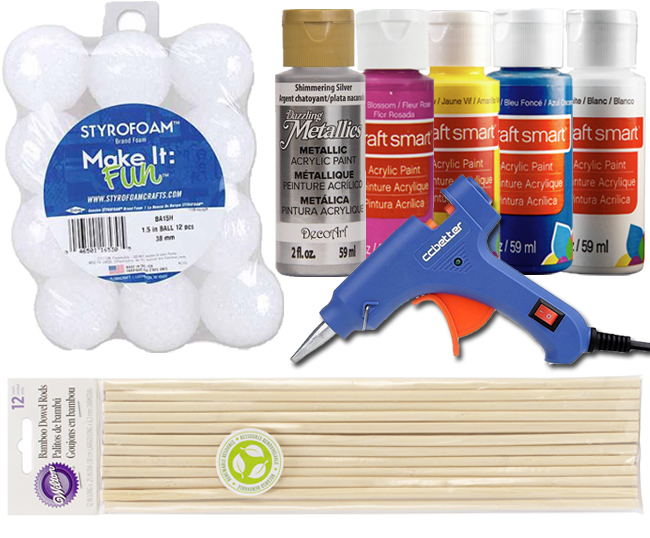 Add a dollop of hot glue to the end of a dowel and push it into a styrofoam ball. Repeat until you have enough pins. Finally, poke the pins through holes in your dress in whatever locations you desire. You might need a bit of glue to keep them secured. If you don't want to cut the dress, you can instead just hold a few pins. 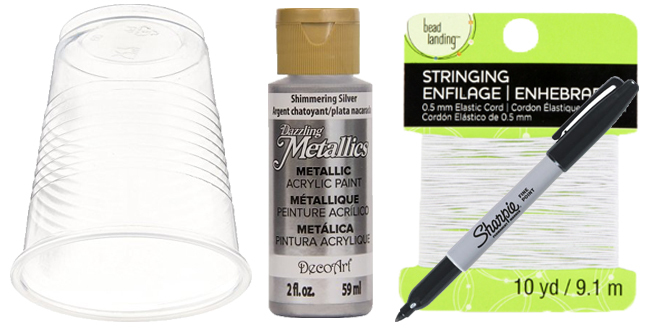 To make the thimble hat, paint a plastic cup metallic silver. Use a black marker to draw the dots and lines to mimic a real thimble. 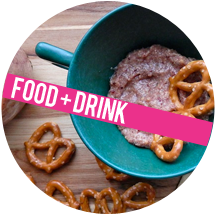 Attach elastic cord with a dot of hot glue (don't melt the cup!) to keep it attached to your head. If you'd like to incorporate a measuring tape (and why not at this point? 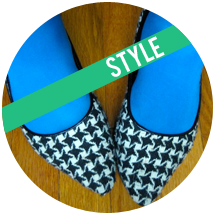 Go crafty or go home! 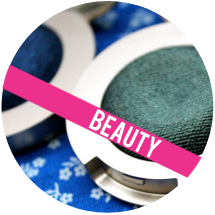 ), you could use it as the headband tie for your thimble hat, a strap to a custom purse, a belt or even a choker. One day I hope to make this costume for myself, but until then I'll have to put a pin in it. Sorry, I just had to put a pun in it. Yikes, wow, sorry, someone please stop me!